Cauliflower: the next big thing? There were rumors last year but this year the food industry is adamant: 2014 will see the big comeback of the cauliflower. That’s right, kale is expected to be dethroned as the trendiest and most versatile food item around. It might be a push from the cauliflower lobby (if there is one!) but it may be just a matter of time before we can buy the “Book of Cauliflower.” Vancouver chefs have long seen the trend coming and are offering cauli in all forms, texture and colors. 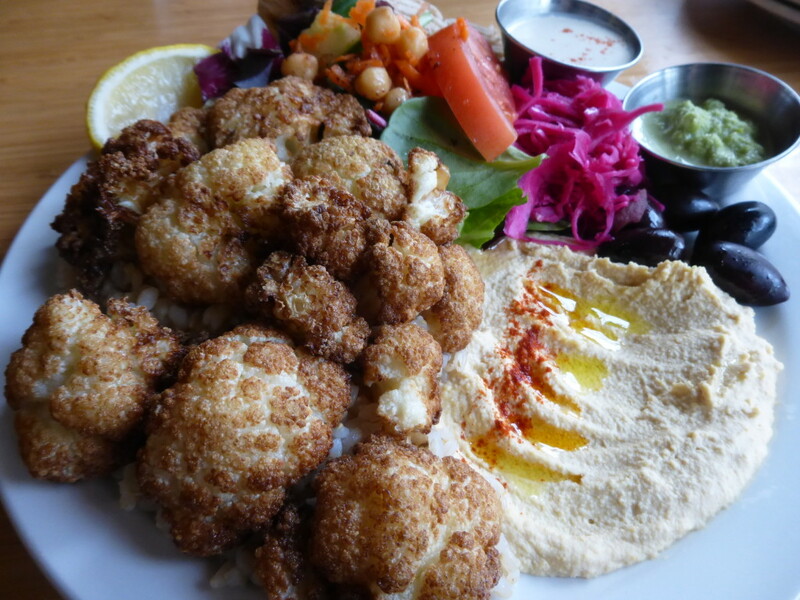 Regulars at the Lebanese inspired restaurant Nuba will insist that the must have is the Najib’s Special – a deep fried cauliflower dish seasoned with lemon and sea salt and served with tahini and a spicy dipping sauce, bright green in color. A revelation for those who have never had deep-fried cauliflower before, an addiction for those who have. You can have it as a side dish or as a plate for lunch with hummus, salad, pickled cabbage and pita bread. Over at Tacofino Commissary (the restaurant version of the food truck), roasted cauliflower is served as a starter. Several things make this dish unique and delicious: tossed puffed rice for texture, spicy fish sauce, tumeric and whole Serrano chilies. You would think that with such a high spice level the dish would be smoking hot but your taste buds will be surprised to experience a sweet caramelized buttery flavour. This restaurant has quickly become a favorite in the Vancouver East Village area. You will not regret the $7 you have invested. Cauliflower is no stranger to the Indian cuisine. For centuries, this vegetable has been highlighting several dishes, such as the pakoras – a mix of onions, potatoes, cauliflower and spinach. Vij’s Rangoli offers an excellent rendering of the deep-fried appetizer complemented with daal and a refreshing chutney. Not wanting to be left out, White Spot has added a Tandoori Cauliflower Quinoa Salad to the menu hitting two 2014 culinary trends: cauliflower and ancient grains. The red quinoa is an excellent complement to the white vegetable. For a fine dining experience, vegetarian and vegan diners go to Acorn on Main where they can bite into a tasty cauliflower dish that surprisingly is a twist on mac and cheese. They use cheddar Orecchiette with a sophisticated touch of truffle served with celery and pickled cauliflower. Guests at the Belgian restaurant Chambar can start their Dine-Out Vancouver meal with “Chou-Fleur et Rutabaga” which is a cauliflower soup with barbecued sunchokes and cilantro pistou. The food truck scene has also been using the versatile vegetable for quite some time. Aussie Pie Guy came up with a vegan and gluten-free version of their famous Australian meat pies with lentil and cauliflower. Simply ask for the Hip pie! 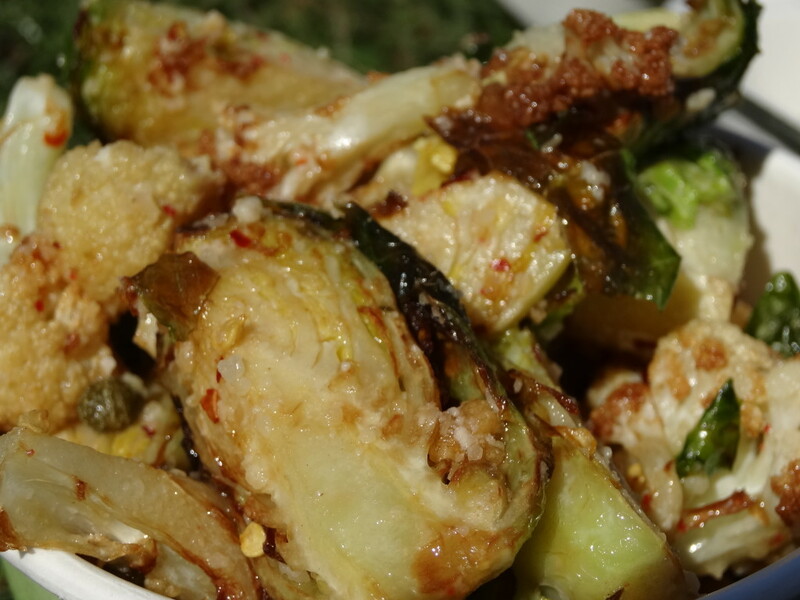 The chefs behind Le Tigre have been serving hundreds of hungry Vancouverites their warm cauliflower and Brussels sprout salad. They recently revisited the dish and added a bunch of vegetables including kale, cabbage and broccoli. Despite all the fuss around the vegetable of the year, one thing is clear. When looking at the different menus and grocery fresh produce sections in Vancouver, one cannot deny it: kale is still overwhelmingly popular and is not going anywhere. At Tractor, a healthy food restaurant on 4th ave, kale is present in at least five of their dishes. Most restaurants serving West Coast cuisine will include kale in their offering. Winter kale salads, kale chips, kale as a side dish, kale in sandwiches: kale is still a buzz word and we are not ready to part with this favorite. After all, along with yoga and BC Place, the kale-mania is what makes the city so very Vancouver. Is this article missing your favorite cauliflower or kale dish? Let us know in the comment section.